Lifelong Farmington area resident Kevin Wisdom (left) and his cousin Jason Wood (right). New owners of Precision Equipment. For over 25 years the name Precision Equipment has been synonymous with quality. Bill Seely started the company in the early 90’s when not a single SCAG mower was sold in the Farmington area. As Seely educated the market on the quality engineering and construction behind the SCAG, sales began to soar. Today, there are over 2,000 cats eye gold (orange) colored mowers cutting grass in St. Francois County. Fast-forward to December 1, 2018 when Seely sold his business to lifetime St. Francois County (Farmington) resident Kevin Wisdom and his cousin Jason Wood. On the immediate “to-do” list was to gain an in-depth understanding of the SCAG customer and what they needed from Precision Equipment. From there Kevin and Jason wanted to expand the mower line, so they added Grasshopper. Known for their legendary front-mount mower, Grasshopper is another mower manufacturer who, like SCAG, has a brand that stands for quality, durability and functionality. Next on the “to-do” list was to develop the existing product lines already present at Precision Equipment. Maruyama, founded in 1895, is a Japanese manufacturer of commercial grade outdoor power equipment with a quality second to none. Their line of trimmers, blowers chainsaws and sprayers are without question, the industry benchmark. The next product line Kevin and Jason were determined to grow was Arctic Cat off-road vehicles, which was purchased in early 2017 by Textron. Textron is a $14 billion orgnization and one of the world’s best known multi-industry companies, recognized for its powerful brands such as Bell, Cessna, Beechcraft, E-Z-GO and Jacobsen. Textron has been the source of ground-breaking technologies and numerous industry-firsts. This has played a significant part in the re-engineering of Arctic Cat products such as the 2019 Stampede, Havoc, Prowler Pro and Wildcats. 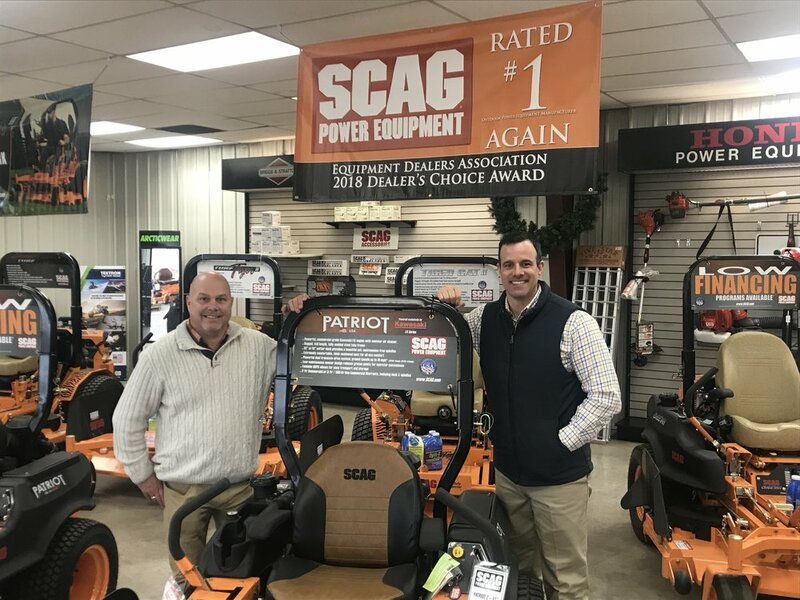 The 2019 goal of new owner’s Kevin and Jason is to supply St. Francois and surrounding counties with outdoor power products of unmatched quality with an unwavering commitment to serving our loyal customers.